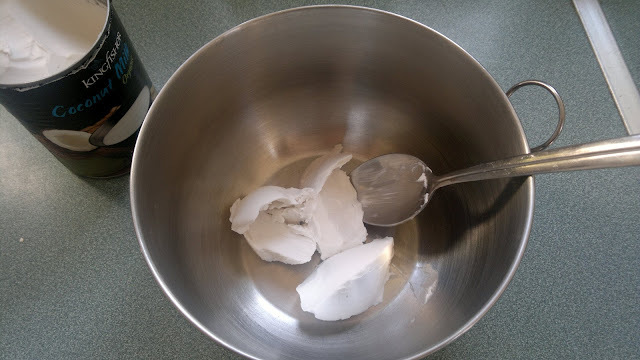 This is a very simple non-dairy recipe to use when something calls for cream. 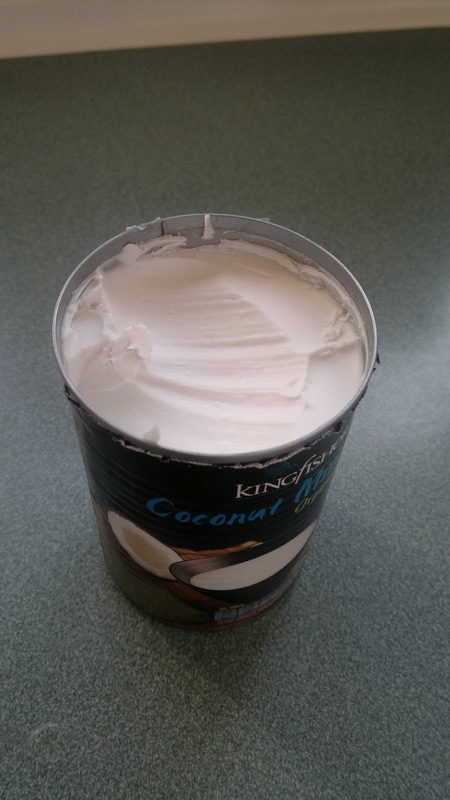 Place a can of coconut milk open in the fridge to chill (overnight is best.) It will get extremely thick on top. Scoop out the cream and place it in a bowl leaving the water in the can. Add in stevia and mix it with a fork. I usually add around 10 drops of liquid stevia. And that's it! Simple vegan whipped cream. You could even add in vanilla, or cocoa powder to make chocolate cream. Get creative!